Our 1.8-liter I-4 F115 is the lightest DOHC 115-hp In-Line Four on the water by nearly 25 pounds, leading its class in power-to-weight. It not only bests the competition, but it also beats Yamaha’s previous F115 design, with a zero-to-200-foot acceleration time that’s 0.7 seconds faster. 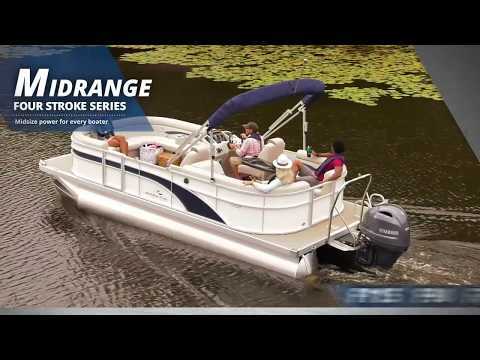 EXTENDED ENGINE LIFE: A Freshwater Flush Device allows you to flush the engine without starting it, for maximum convenience, durability and engine life. 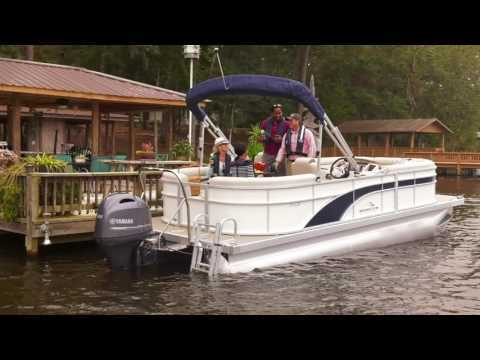 MULTI-FUNCTION TILLER HANDLE: The F115 is compatible with Yamaha’s award winning Multi-Function Tiller Handle. It incorporates engine start/stop, emergency stop, gear shift, power trim and tilt operation, variable trolling switch, warning and controls all in one. 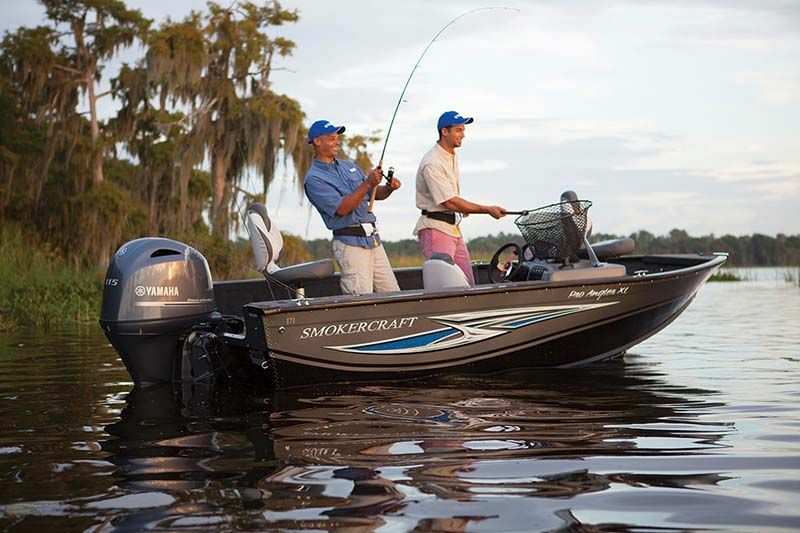 CHARGING POWER: The F115 features three-phase alternators that produce up to 35 amps of power. For the 115, it’s more than 45 percent more charging power. That’s plenty of electrical power for battery charging and accessories, with more to spare. 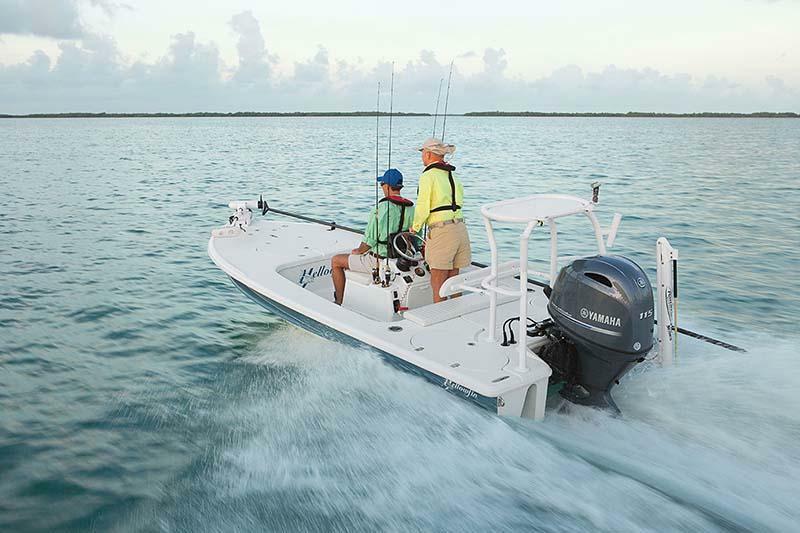 VARIABLE TROLLING: The F115 features Yamaha’s Variable Trolling RPM Switch (VTS®). This allows for precision adjustment of trolling speeds in 50-RPM increments, from 650 to 900 RPM for the 115 hp, and 550 to 1000 RPM for the 90 and 75 hp. It even allows for sub-idle trolling. 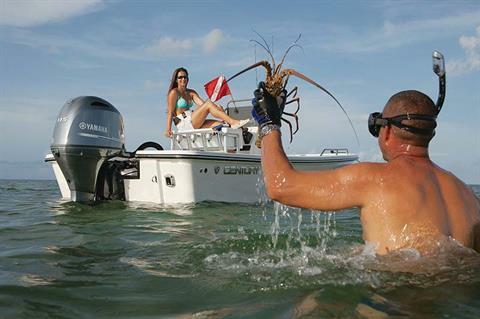 This is a major plus for anglers. 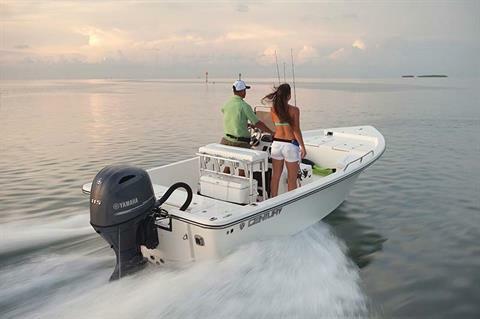 POWER AND EFFICIENCY: Precision Multi-Point Electronic Fuel Injection delivers the exact amount of fuel needed for optimum performance and efficiency. 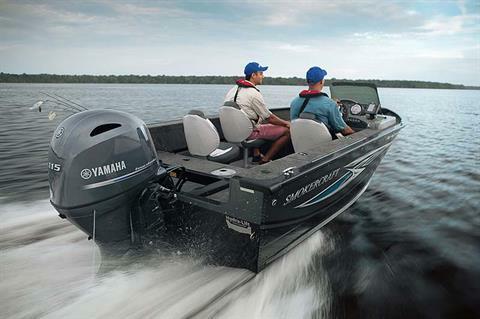 Yamaha’s EFI optimizes fuel atomization further enhancing fuel economy. POWERFUL HOLE SHOT: The Composite Intake Manifold on the F115, F90 and F75 feature long tube intake tracks, tuned to increase airflow, which boost low-end and midrange torque. This means a more powerful hole shot and increased acceleration. Even with all this responsive power, an air silencer box and surge tank reduce air intake noise and air turbulence for smooth, quiet operation. 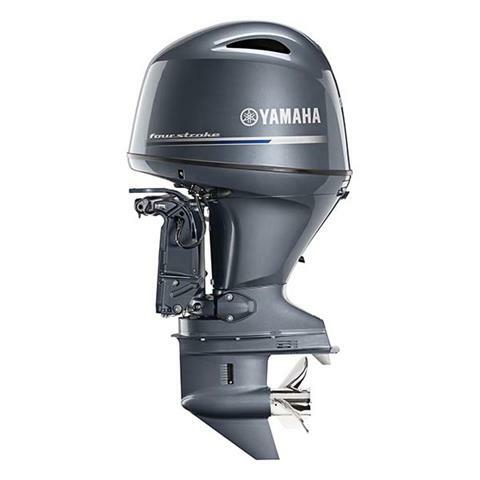 LIGHTWEIGHT, COMPACT DESIGN: To keep weight down and efficiency up, the F115 has a double overhead camshaft, and the F90 and F75 feature a single overhead camshaft, but still deploy four valves per cylinder. That setup means less mass in the cylinder head and reduced weight for the overall outboard. At the same time, four valves per cylinder means great engine combustion, which contributes to horsepower, torque and fuel efficiency. QUICK ACCELERATION: The F90 and F75 have stepped up to 1.8-liter displacement, joining their F115 big bro. Meanwhile the 90 hp and 75 hp have both dropped 13 pounds. Lighter weight and increased volumetric efficiency, plus increased displacement equals thrilling performance and make our 90 hp a top performer in acceleration and torque. KEEP THE WATER OUT: Updated cowling design incorporates the latest Water Draining Intake Duct. 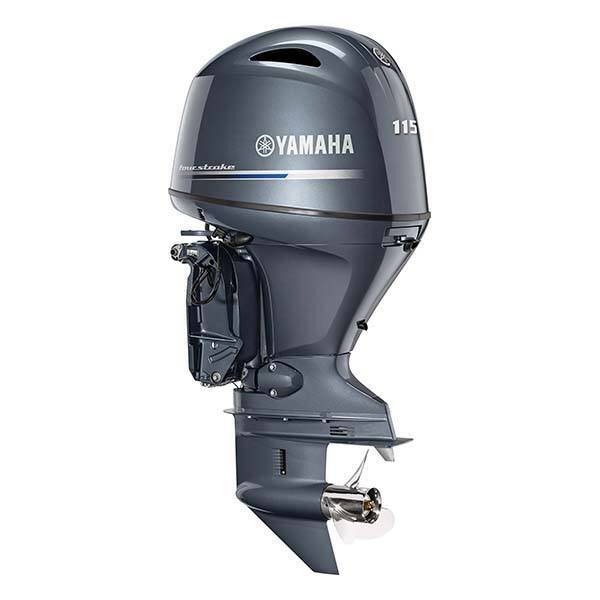 With side intakes and superior water separation function, this outboard is even better suited to take on the marine environment. 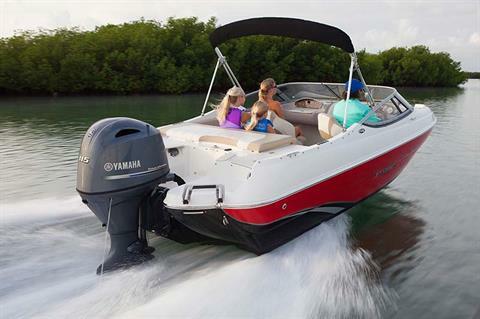 MEASURABLY QUIETER THAN PREDECESSOR: Yamaha’s proven labyrinth exhaust system, which gradually expands exhaust gases through a labyrinth, greatly suppresses engine noise at low to medium speeds. Updates to the muffler have greatly reduced noise at higher than midrange speeds. WET SUMP: The F115, F90 and F75 use a pressurized oil delivery system and incorporates a compact and durable oil pump to keep all of the moving parts of their DOHC and SOHC systems lubricated and running smoothly for maximum reliability. CORROSION PROTECTION: Combined with our proprietary alloy (YDC-30), our highly vaunted, anti-corrosive paint system provides a tough, five-layer barrier against corrosion. Stainless Steel components such as the drive, prop and shift shafts provide an additional layer of critical corrosion protection. And multiple sacrificial anodes throughout the motor provide protection from the elements.